Metallics are huge this year – you’ll have seen them in all the best interiors magazines. The key to adding them into your home is not to be overwhelmed. A shimmer of steel or a glimpse of copper here and there is all you need – so add some simple accessories, wallcoverings, fabrics or even a piece of statement furniture – sorted. Go for a polished finish – sleek and elegant. Or opt for a cool and contemporary brushed effect. Prefer a more traditional look? Then an antique finish is probably right for you. The choice is yours. 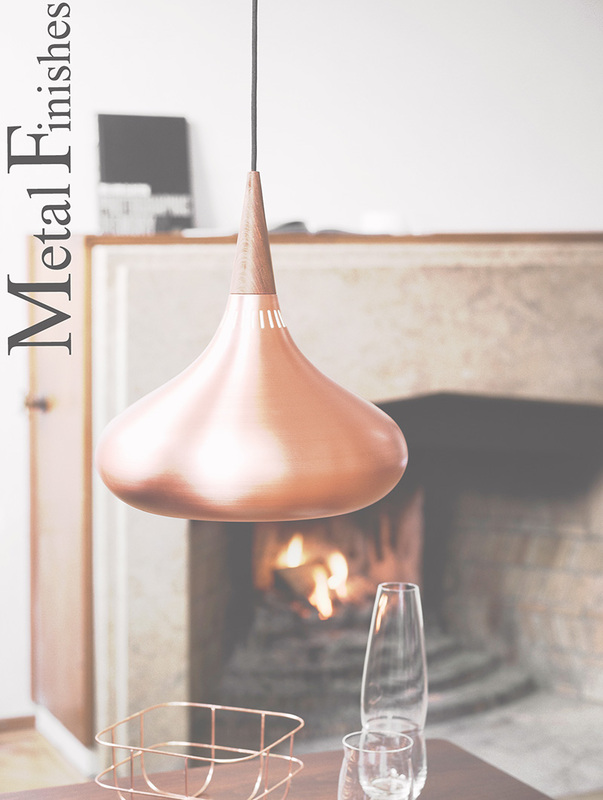 One of the hottest trends for 2015 is copper and rose gold – fab for adding warmth to your home. The simple, ergonomic design of this beautiful dining chair is enhanced by the gorgeous rose tinted hue of the chair legs. 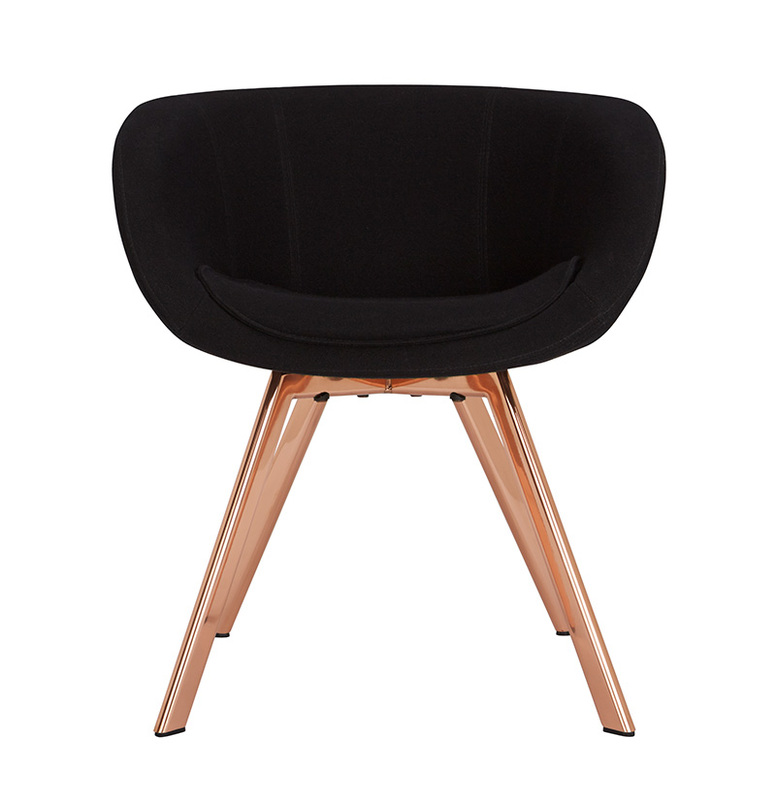 Add to this stylish black upholstery and you have an eye-catching yet timeless piece. 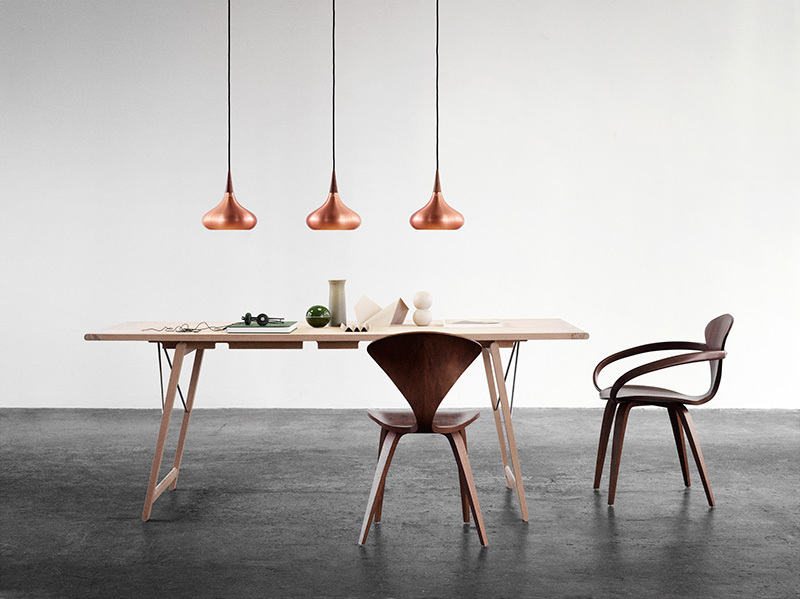 This curved, copper suspension light has been designed by Jo Hammerborg for Danish company Fog Morup. Stunningly simple, its clean, uncomplicated lines show how a truly classic design can become a statement in its own right. This fabric from the Carlucci (Jab) Titanium Collection is exquisite. 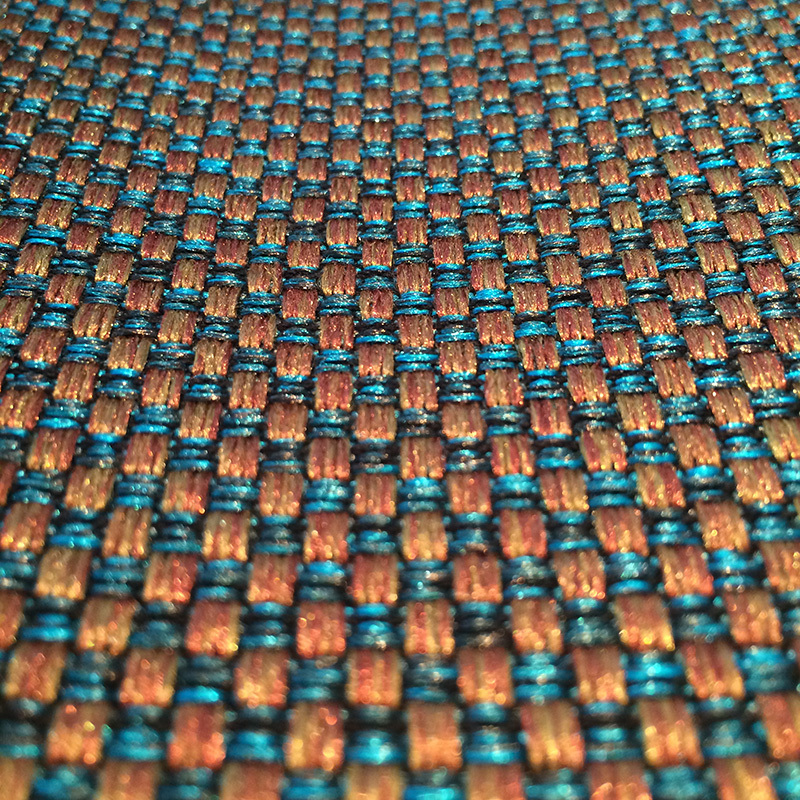 Vibrant teal threads run through this stunning cotton mix weave, adding an opulent yet fun touch – proof, if it were needed, that you don’t need to play it safe when using metallics in your home. Gold and brass are making a comeback. But don’t be alarmed – this is a much more subtle approach than in the heady days of the 1980s. 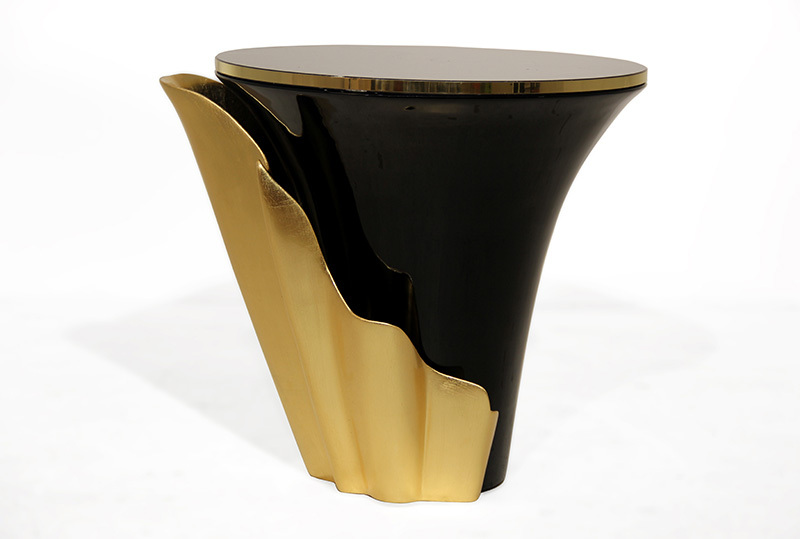 The natural opulence of black marble and gold is encapsulated in this stunning Yasmine side table. Its simple, classic colour combination balances perfectly with the table’s intricate design – a real statement piece. 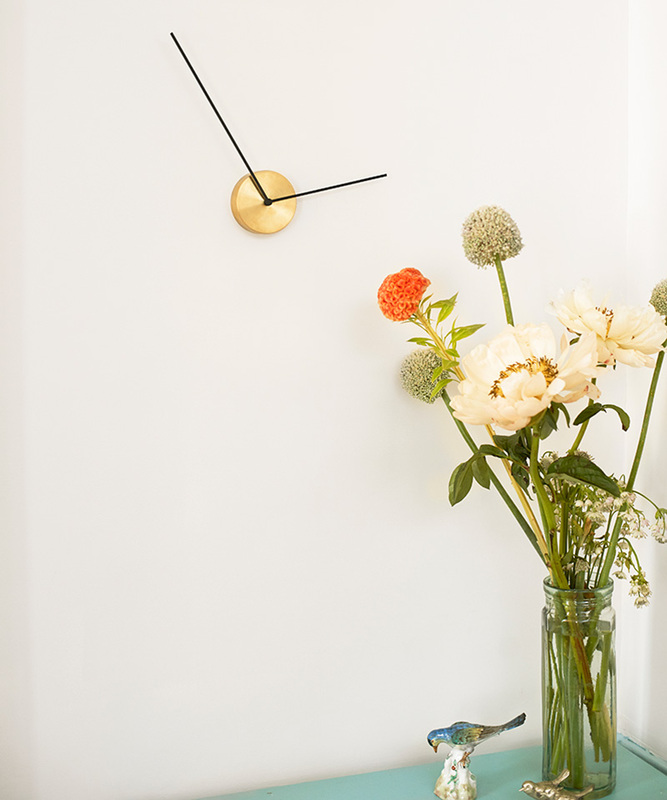 The timeless design of Milia Seyppel’s Less clock – in simple black and brass, means it complements any interior. Functional, beautiful and perfect in its simplicity. Subtle, metallic tones add a modern twist to wallpaper. This delicate shell pattern has been embossed onto a lustrous, golden vinyl wallpaper to form the illusion of glassy fish scales. You could team this with soft neutrals for a subtle elegance or with striking blue and green tones for a more contemporary look. Silver and stainless steel never go out of style and are perfect for creating both classic and contemporary designs. 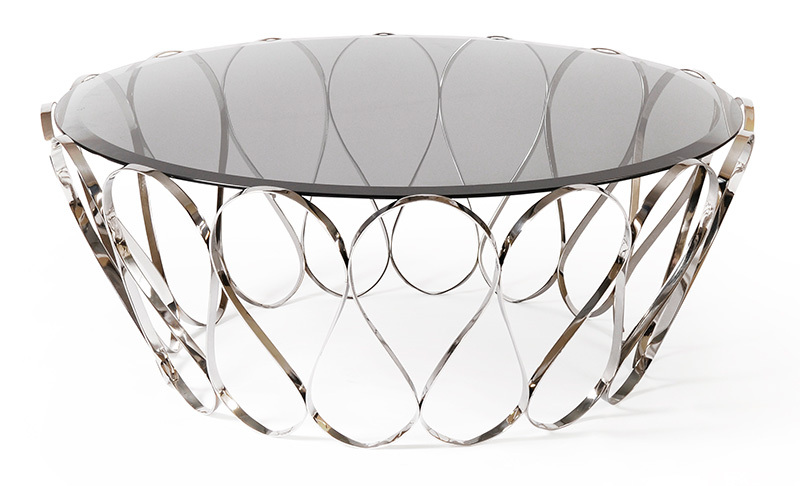 What is striking about this fabulous coffee table is the way the delicate stainless steel base contrasts with the clean lines of the smoked glass top. A perfect statement piece for a chic, modern interior. 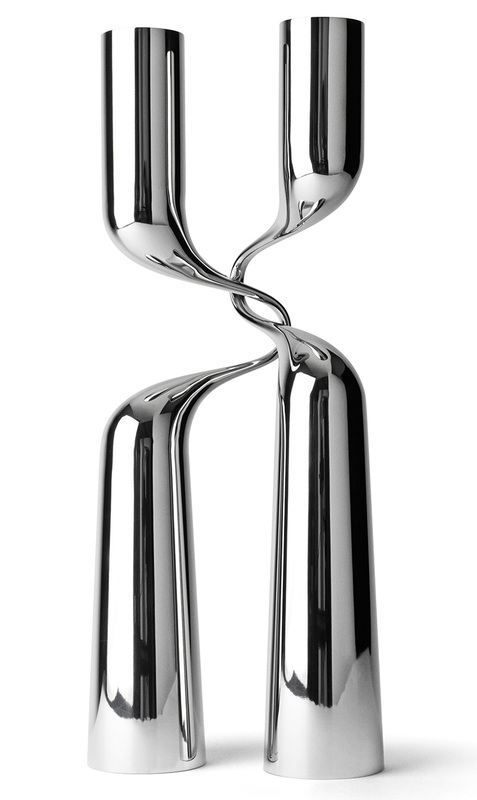 This elegant, candle holder is a piece of modern art in its own right. Highly stylised, the polished stainless steel candlesticks are organically intertwined – a classic accessory that’s perfect in a contemporary setting. 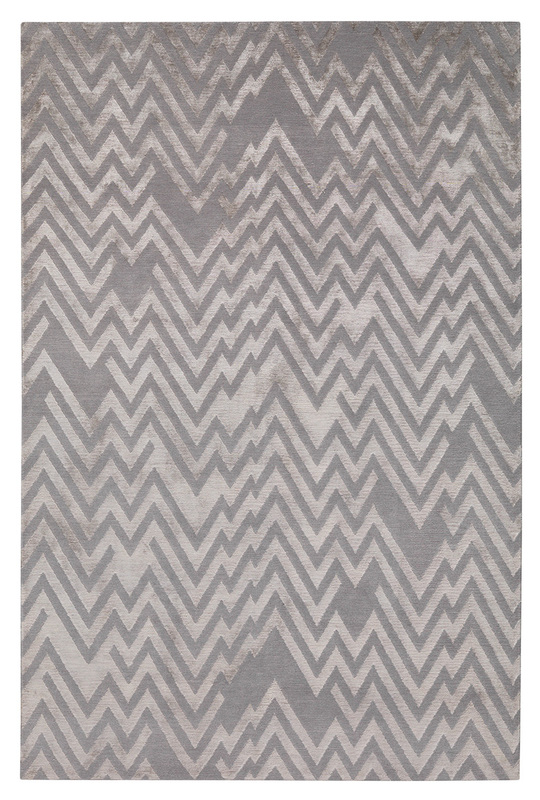 Inspired by the lines of modernist buildings from the Art Deco period, the ‘Peaks’ rug by Paul Smith is an exquisite example of how an iridescent fabric, in this instance silk, can be mixed with another wool, to create a subtle metallic look with a contemporary edge. From warm coppers to cool steel, metallics shimmer and catch the light, creating subtle effects that solid colours just can’t. You can be bold with a piece of statement furniture or take a more low key approach with a simple but stunning accessory. Whichever look you choose, you’ll add elegance and individuality to your home.